Being a parent of a girl with autism biases my reading interest toward books on the topic, and to date I have read a lot. 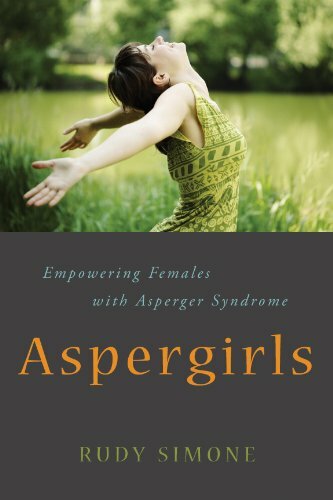 Aspergirls is quite atypical of many i have read and refreshing in style. Rudy Simone has Asperger's Syndrome (AS) and has been a strong advocate for those with the condition for some years. Her approach to writing is to say it as it is, and simply. She does this to good effect. What I particularly like about this tome is she quotes regularly from interviewed girls and women with AS and consequently adds many voices to hers in her coverage of a myriad of topics, from challenges in schools, to the impact of puberty on aspergirls. Nothing is taboo. There were also a few quotations that caused me to laugh out loud – it's good to be able to infuse some humor in what is a topic that can get quite serious. Another aspect of the structure of the book is that at the end of each topic (chapter), Rudy summarises by providing direct advice to aspergirls, followed by advice to aspergirl parents. This is smart, very smart, as the two target audiences are vastly different and covers her audience well – and more importantly, sends clear messages to the two most important groups that affect aspergirls. I found the book useful, but I have to concede that the book is overwhelmingly targeting Asperger's Syndrome, not other folk on the Autism Spectrum. My daughter is a high functioning autistic girl, and has many challenges that differ from AS. And yet the common ground was useful, evidenced by having discussions with my wife on various statements made. All in all I found the book useful, clearly written, and sensibly structured. As a father of a child with ASD/AS, it would be inevitable that I would find this book useful – and I did. 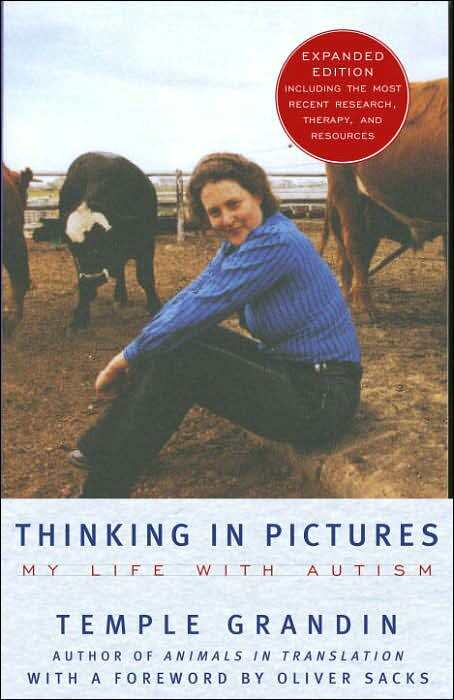 I have read her two most famous books – Thinking in Pictures and Emergence, which I rated high, and which complemented each other, telling us the Temple Grandin story. This book isn’t like that – it is essentially a re-edited compilation of articles that she wrote over 8 years for a leading ASD/AS magazine. This format slightly takes the publishing sheen off the book – there is some repetition (which would not have been evident in the individual articles), and the organization of the articles are commendable, but not perfect. Having said this, there is a LOT of good stuff in the book, of a practical, common sense nature – particularly for parents with young children. This is not a book for adults with ASD/AS (there are only a few pages devoted to college/workforce aged people). I certainly would recommend this book to parents with young children in the spectrum. Well, I suppose I better get into the spirit. It is also a handy way of putting on record my goals (notably in writing). Be a more tolerant dad. My daughter has Asperger’s Syndrome and, well, anyone who knows what I and my wife goes through, knows what I mean. Be a great dad and husband. Lose weight. I have never been heavier, and so my goal for the year is to lose 20kgs. That’s a tough one. Outline Bitter Creek by December 2011 (or perhaps do much more). Revise The Scepter and the Orb by September 2011 (first Evyntyde novel). Write 3 additional short stories and finalize/publish my Evyntyde anthology, Tales from the Chronicles of Evyntyde – by June 2011. Complete first draft of my second Evyntyde novel, Crystal Peak. Write at least 12 short stories in 2011. 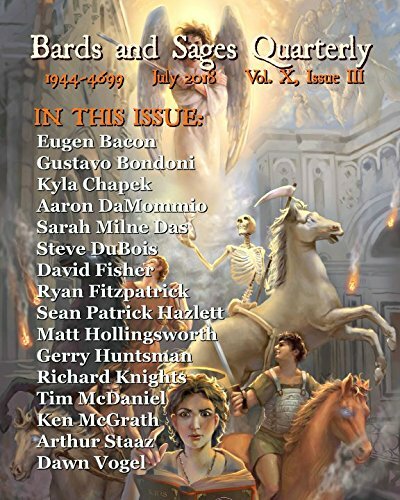 Qualify for membership of the SFWA. Addendum – write and complete YA Dystopian novela, The Comfort of Beanbags. Point 10: Here is my Heat Map of getting into SFWA – the easiest path is to publish 3 short stories in recognized magazines etc. When I get three green slices of the circle, I qualify. Legend: Yellow means I am currently submitted to an SFWA mag, not counting green; red means there is a slot I haven’t submitted to, unless green. Green is a success, as stated. OK, not big on plugging people, even generally. However, re my previous post, I have to say this guy is great. I saw his introductory dvd and I am won. Let me explain. Throughout the 3 odd years that my wife and I have dealt with our daughter’s condition, it has always been, in many ways, uncertain, and certainly unscientific. Initially it was a case of "development delay" with the possibility of low spectrum autism. Then it was likely to be "autism", and finally, last year, it was diagnosed formally. "Asperger’s Syndrome" is a name used to keep clear of the baggage that goes with autism. The trouble was, for Jen and me, that the extent of her condition, and the prognosis, was never clear, and despite having a terrific group of people helping with early intervention — all helpful to one degree or another — we are still in the dark on the myriad of little things we need to fine tune our ability to help the little darling, and no-one to give us definitive answers. Then we saw the dvd. This guy described to a tee the symptoms of what our daughter had, and talked about the way autistic people think. Gave us strategies. It was a major help for us.